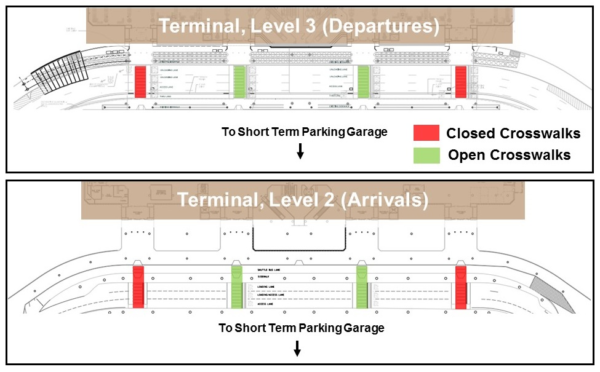 Beginning Wednesday, July 11, Levels 2 and 3 of the terminal access road will go from four crosswalks to two crosswalks between the Terminal and Short Term Parking Garage. Please see map for reference. Crossing guards will be in place to direct vehicular traffic and pedestrians. This should improve traffic throughput and flow, and pedestrian safety.